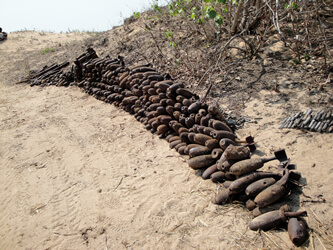 Explosive Remnants of War (ERW) and Unexploded Ordnance (UXO) are among the most common and most dangerous forms of industrial contamination. This legacy of both conflict and training has contaminated valuable urban and agricultural land. Assessment and remediation is necessary for the production, housing, environmental and social needs of the affected land users. G-tek provides a full range of services for UXO detection and remediation.